The 100% organic Chew Stick is made with 95% meat, of which 77.8% is Beef. 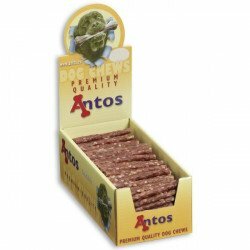 They have added vitamins, minerals & herbs to ensure you give your pet a responsible treat. 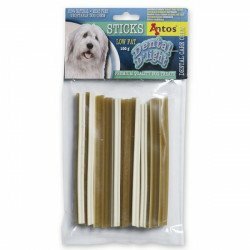 Of course there is no artificial additives to the stick. 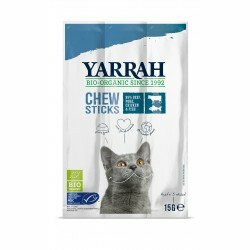 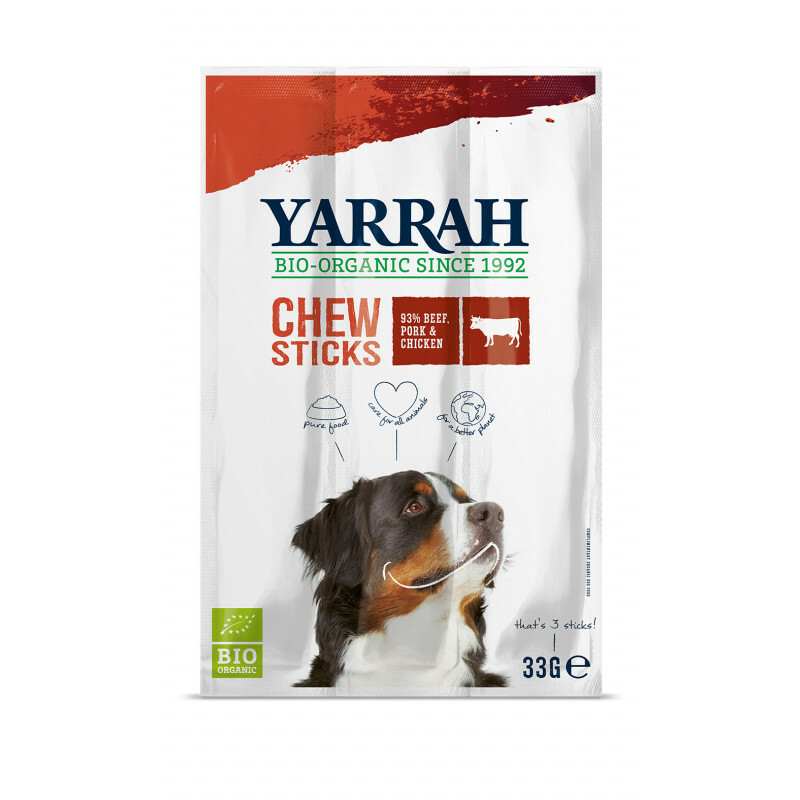 Yarrah has three kinds of dog snacks; vegetarian biscuits - in two variaties -, our delicious organic Sausage 'Slice of Delight' and the chew stick with 93% meat!